When the barometer dipped low and brought Hurricane Irma and her wrath through the Treasure Coast, the philanthropic barometers of distant and local organizations reached new heights. A Hurricane Relief Drive at Citi Field last month was a collaboration of the New York Mets, their fans, and Queens Borough President Melinda Katz and resulted in the collection of diapers, paper goods, toiletries, cleaning supplies, food and more to help affected communities in Texas and Florida. “Mets fans and all New Yorkers want to help the Hurricane victims in Texas and Florida just like the rest of the country helped us pull through Superstorm Sandy,” Mets COO Jeff Wilpon said. Thanks to Paul Taglieri, Executive Director of Minor League Facilities, who recognized the local need, a large truckload of supplies made its way to First Data Field, home of the St. Lucie Mets. 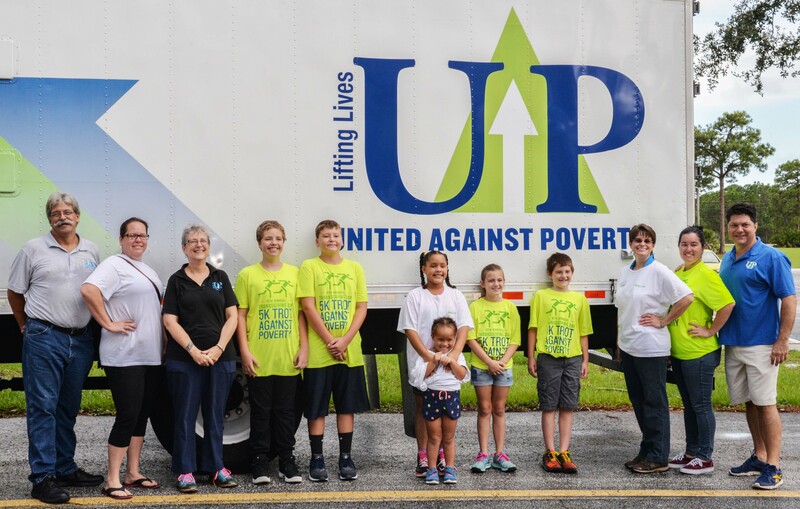 The truck was greeted by grateful staff and volunteers from United Against Poverty, Mustard Seed Ministries, Sarah’s Kitchen and In the Image of Christ Church of Fort Pierce—all United Way funded, local agencies. People from Federal Emergency Management Agency (FEMA), representatives from St. Lucie County Community Services ESF 15 Emergency Ops and nearly 70 ballplayers from the Mets Instructional League moved donation boxes from the delivery truck to four local nonprofits’ vehicles. Through teamwork, these partners hit the ball right out of the park.